AC2000 Data Partitioning enables the AC2000 system to be divided into multiple data partitions. Partition administrators have the ability to fully add personnel card holders and produce ID badges on their own partition, but are prevented from seeing the data of other partitions that reside on the same AC2000 server. Data partitioning is primarily designed to operate in situations where an AC2000 systems is shared by several companies/ tenants e.g. multi-tenanted office block, shopping centre, or airport. In such a situation it is often unsatisfactory that representatives of one company might be able to view or even edit data belonging to another company. Data partitioning overcomes this by restricting access not only to a company’s card reader network but also restricting access to content belonging to other companies/tenants. 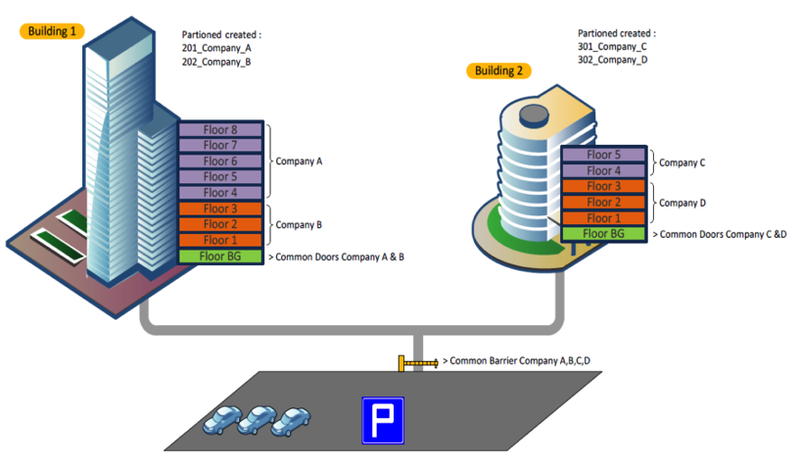 Data artitioning also empowers each company by giving them control over their own private access areas while still allowing them access to common areas within the building or facility.